NATO military apparatus uses propaganda against Russia in Europe to provoke Moscow, justify military buildup close to the Russian border, Ludo de Brabander, a member of the Belgian Peace Movement Vrede, told Sputnik on the sidelines of the counter-NATO Summit in Warsaw. 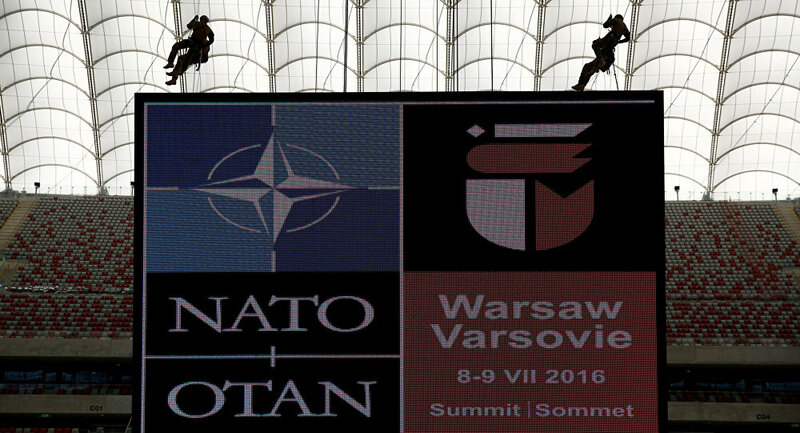 WARSAW (Sputnik) — The Counter-NATO summit’s dates coincide with the NATO summit, which is held in the Polish capital on July 8-10. "NATO and its military apparatus has to justify itself. To justify militarization of Europe you need to make use of propaganda. You need to justify by telling that Russia is threatening Europe, that Russia is a danger and you need to convince people in order to prepare them for spending all this money on the armies…The strained relations with Russia is a consequence of self-fulfilling prophecy of provoking Russia for military buildup to justify NATO expansion and military buildup in Europe," Brabander said. Since 2014, the alliance has been building up its military presence in Europe, especially in Eastern European countries neighboring Russia, using Moscow’s alleged interference in the Ukrainian conflict as a pretext. Moscow has repeatedly denied the claims and warned NATO that the military buildup on Russia’s borders is provocative and threatens the existing strategic balance of power.